When it comes to avid gamers playing Windows games on Linux is not a big deal. Despite the fact that Windows games can be played on the Linux, many users think of how to play Windows games on Linux. Mostly, users feel lazy due to the misconceptions floating around the web, that Windows games can’t be played on the Linux. 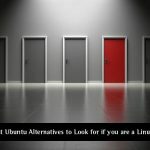 If you happen to fall in the similar category, carry on reading this article, as it explores the four different ways to run Windows games on the Linux. It’s not Wine, which you have on Christmas Eve, but a program that enables you to play Windows games on Linux. It offers a good deal of games such as Counter Strike, World of Warcraft, Eve Online, and several others. What makes it outstanding is the real thrill that gets into your nerve, while playing them. Basically, Wine is a translation layer, which immaculately runs Windows application on the Linux, integrating it with other compatible operating systems like POSIX. To add, Windows programs awesomely run on wine act native programs and give an amazing glare on your desktop. 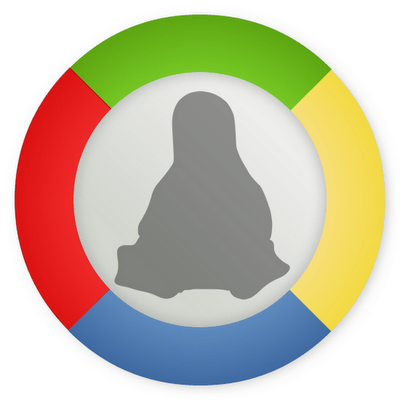 PlayonLinux is package of software that easily installs a games or programs which are designed for Windows. PlayonLinux is an advanced version of Wine software, which is highly intuitive and easy to use. Mostly, Linux users write scripts, which handle both the intricacies and complexities lying with various programs and release the script through the PlayonLinux software. If you want a list of games supported in PlayOnLinux, visit their site. You can also see supported non-game programs. If you guys think of how to play Windows games on Linux the easy way then CrossOver Games is for you.What makes CrossOver Linux, absolutely stunning is it enables you to install Windows output applications, plugins, games in Linux and does not need licensed version Microsoft operating system. CrossOver provides quick accessibility with smooth interface that supports Windows application to run simple and fast. Once you install software it seamlessly works on Gnome or KDE technology. What you have to do is to simply click and run applications, and of course! You will be working on windows but can smoothly play games on Linux. The best part of the CrossOver Linux is that it has many Windows plugins, which directly connects Linux to the browser. Broadly speaking, plugins that work on any x86 based Linux configuration easily merge with the all popular web browsers like Firefox 1.x, Netscape 6.x, conqueror, Mozilla, and Opera. With the CrossOver you get the Gnome and KDE technology that enriches Word, Excel, or PowerPoint file. Recently, CrossOver games has observed over hundred games such as popular World of Warcraft, Half-Life 2 and Counter Strike. Cedaga is also known as WineX, and is proprietary software designed by the Transgaming Technologies. 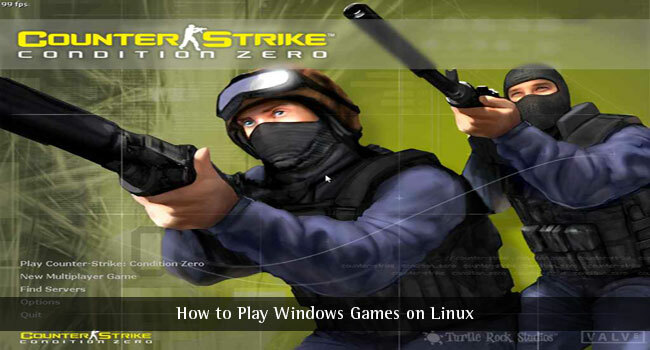 This software is specially designed for playing games especially Windows written which can be played with the Linux. Although, one thing is important to note here is it is important to subscribe this program to enjoy full gaming experience. Cedega adds to the essence of gaming by adjoining the Microsoft Direct X API on Linux. The overall performance of the Cedega is excellent since it masques almost like Windows when it comes to operating the same. You have to do things similarly as you insert the disc, run setup.exe and finally finish the installing process. If you know any other way of how play Windows games on Linux then don’t forget to share with us in form of comments. Your site really brought some things to light that I never would have considered before reading it. You should continue this, Im sure most people would agree youve got a gift. Well, Not completely. The graphics card you have has to be compatible with Linux (which is rare). Also games with higher system requirements may fail to run properly even if you and your PC meets the requirements. But hey, There are awesome Ubuntu games & online games too ! Only the really old games like games released prior to the XP platform run on wine i suppose. .. the newer and graphic heavy games like warcraft 3 etc that were released/updated after XP and require huge amounts of RAM don’t run on wine. . .that should also be considered in this post. Yeah, I agree with you. You’ll face some problems with high graphics games. I guess, games like EA Sports-FIFA and Counter Strike won’t work using Wine. It can handle small applications having size of about certain KBs. I am using wine to run a utility called ‘Winbox’ which is only 41 KB in size. We’ve tested Counter Strike and it was working fine on Ubuntu 12.04 LTS. Thanks. I am going to use Linux as early. This article will really help me know more about Gaming on Linux. I think Windows is still the best for performance including Games. Good blog you have got here. It’s hard to find a solution like yours nowadays. I seriously appreciate your work. Thanks For share. Will Linux play Fallout 4, Sniper, Witcher3 -Wild Hunt and other brand new games.? Counter-Strike is ancient. I am so tired of MS’s dishonesty I am ready for a switch. It will either be Linux or Apple.